La Voix first litter, 7 Siamese kittens, 6 weeks old, beautiful, active, playful, defect-free, already potty-trained (since 1 week ago). They play a lot with the toys, and never complain! They talk and invent new sounds every day, but are very resilient and brave, they never object when we lift them and carry around or similar. They are just curious. (click on a picture to enlarge). Blue point, male. His main interest is – eating! Although, since he turned 5 weeks, he started focusing mostly on destroying mice toys. The first one to learn how to roar without sounding really silly. 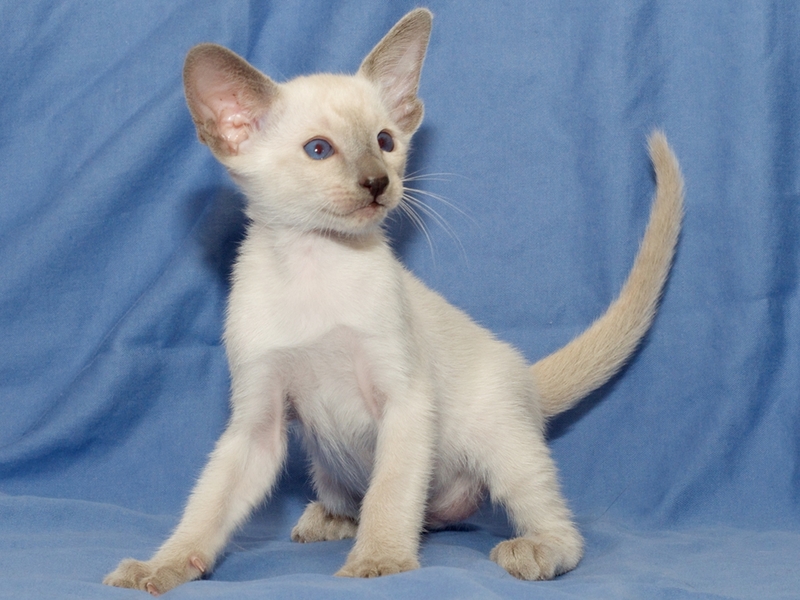 He will be a big Siamese. 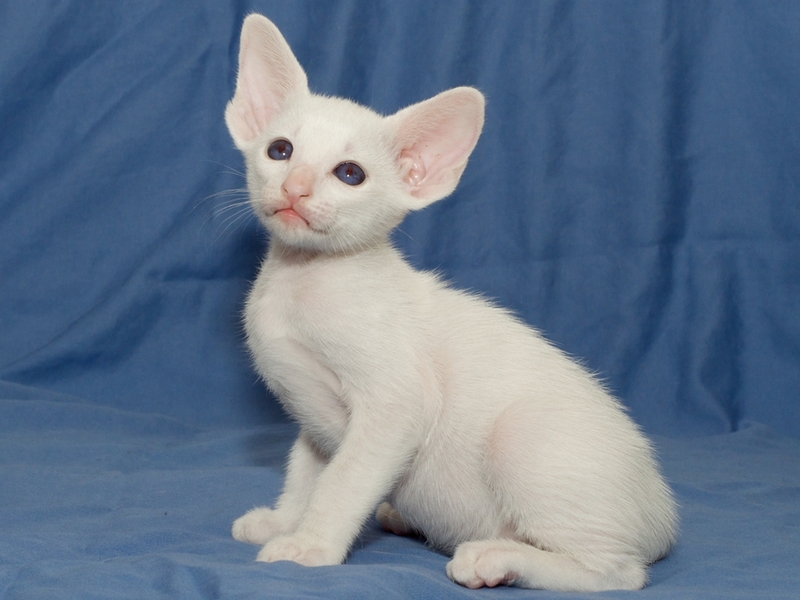 Lilac point, male. His mom’s little copy! Slender and elegant. foreign white, male. 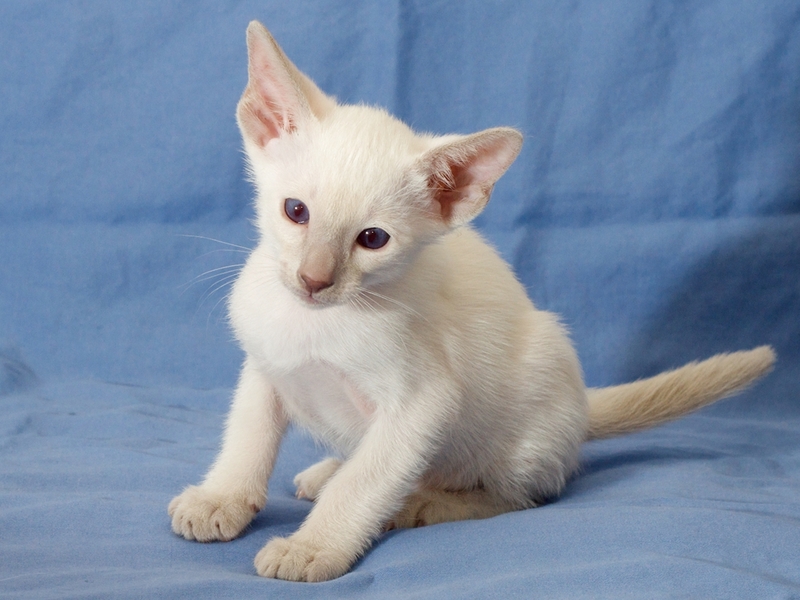 Fairy-tale creature, beautiful, with an appearance like out of this world, all white fluffy Siamese kitten! Slender in type, like Jossan. Blue point, female. She has a look that makes one melt. Very playful! Seal point, maybe chocolate, male. Very social. Great contrasts. Jocke’s favorite. 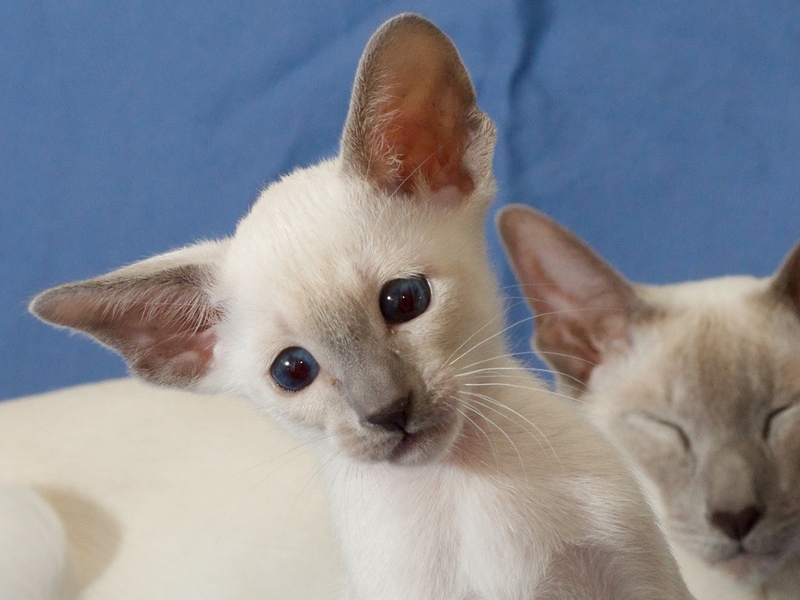 Lilac point, male. He is so big and cute! Very playful. His blue brother, picture #1, and he have very similar build and looks. 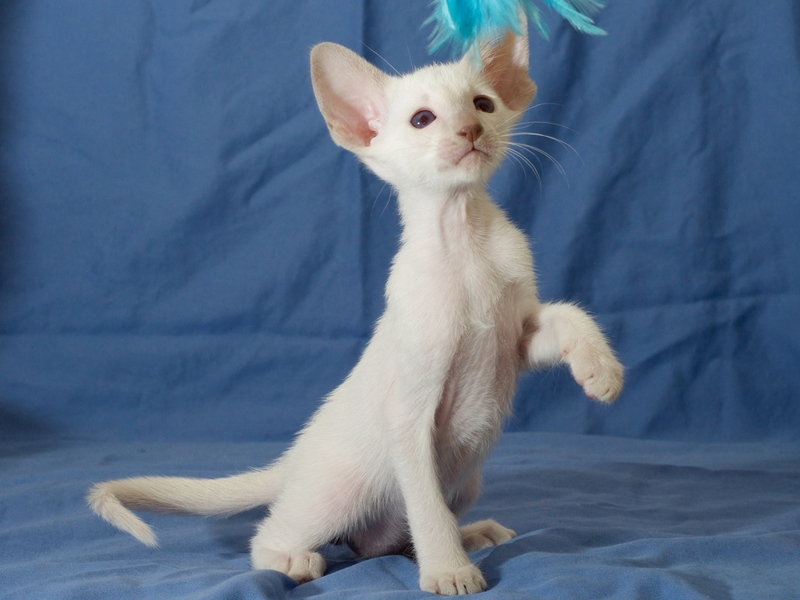 Lilac point, male. Similar to #2, but more robust in build. Lilac-blue eyes, hypnotizing! 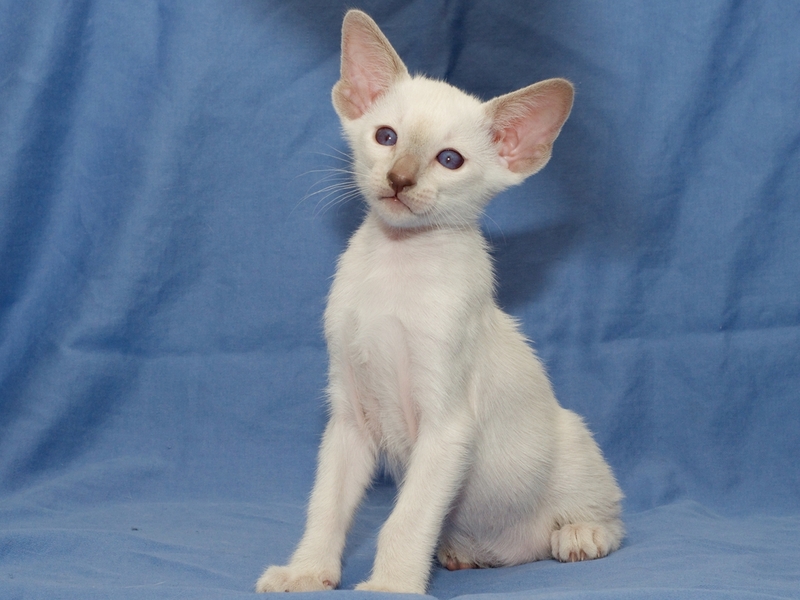 Lilac point, male. Named after Antoine Lavoisier, a French chemist.